Stanford University Press, 2017. 312 pages. $24.95, paperback. Revolution without Revolutionaries challenges the conventional concept of revolution as a collective and conscious action aimed at overthrowing a political system in a short period of time. Asef Bayat sets out to pursue two purposes: a) to reveal the deficiencies of current theories of revolution, and b) to use the Arab Spring to show how human agency can be exerted to overthrow authoritarian regimes whose stability and resilience were taken for granted. Bayat sheds light on the political upheavals in the region through a critique of the organized force the Arab Spring manifested to undermine the power structure in Arab countries. For Bayat, the Arab Spring is best understood as an amalgamation of mobilization and reformist trends, a phenomenon that does not inevitably fall within the classical definition of twentieth-century revolutions. Bayat's argument is advanced by his analysis of the psychological dimensions of the revolution, such as the desperation the activists and reformists exhibit and their concurrent expressions of hopefulness and attempts at setting an optimistic tone. Bayat takes the 1979 Islamic Revolution in Iran as a point of departure. He places it in a broader global context and defines it as primarily an anti-imperial and anti-colonial movement propelled by impulses of democracy and justice. According to him, unlike the Arab Spring, the ideological basis for the Islamic Revolution was informed by socialist/Marxist ideology, adopted and adjusted by Iranian intellectuals as a radical strategy to abolish the shah's dictatorship. For instance, Ali Shariati, to whom Bayat refers as an ideologue of the Islamic Revolution, incorporated Marxism with anti-colonial movements. As a conflated ideology that was not specific to pre-revolutionary Iran, it had already been initiated in Latin America and North Africa as well as among those intellectuals who molded the first wave of criticism of Orientalism, such as Edward Said. Shariati advanced a drastically different reading of Shiism as an ideology of liberation that had historically aimed at the creation of a classless society. Shariati's call for a "return to the self" and slogans like "neither East nor West," Bayat argues, are Marxist notions. In Bayat's view, the Iranian revolution was neither the first nor the last in the 1970s to appropriate them. Major political movements within and beyond the Middle East, such as Nasser's Egypt, the Democratic Republic of Yemen, Cuba and Vietnam had already gone down that path. The legacy of these liberation movements, Bayat contends, spawned the seeds of anti-colonialism in the intellectual universe of Iranian revolutionaries. Bayat opines that what characterizes the revolutions mentioned above and ensuing movements in southern Africa was their struggle to eradicate various forms of colonialism. Inspired by long-lasting neoliberal ideals after the Cold War, the Arab uprising is understood by Bayat as aimed at destroying the political and economic power of the state. Yet, it was not revolutionary enough to alter the old order. It failed to operate on the scale of institutions. He alludes to three reasons for the failure of the Arab Spring: "Lack of focus on any particular demand or [the assertion of] any 'reasonable' alternative"; lack of an intellectual anchor; and an inherent lack of radicalism. Despite these flaws, the distinctive feature of Arab movements was their ability to change our notion of revolution. They neither followed twentieth-century patterns nor were simple reform movements; their goal was to replace the existing structures. 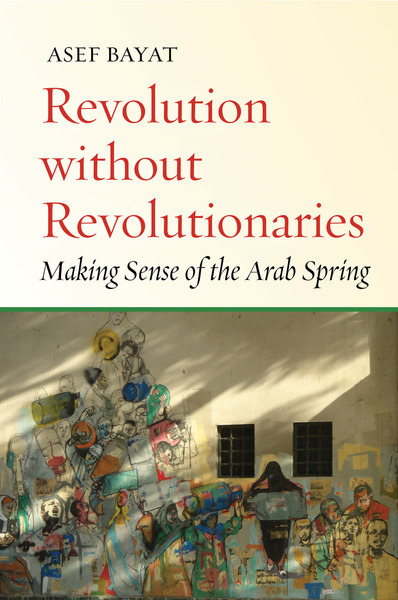 Contrary to the commonly held belief that merely describes the Arab Spring as a revolutionary movement like those of previous centuries, Bayat views it as an attempt to force governments to change themselves, rather than simply replaceing the regimes. What makes Bayat's account different is the connection he makes between the revolution and everyday life. He contests the conventional wisdom in the sociology of revolution that tends to tie revolution to a set of extraordinary sociopolitical events. Revolutionary moments are, rather, nested in the ordinary nature of our lives. Bayat's description of the order of events in the period before the Arab Spring demonstrates how a plethora of small-scale incidents of protest gave birth to the spirit of rebellion. Rejecting the Islamic doctrine as a unified interpretation, Bayat asserts that not all Islamic trends react identically to either colonialism or imperialism but liberation and anti-imperialism are in the foreground of their constant struggle. However, in comparing the macroeconomic policies of Islamic states such as Iran and Saudi Arabia, he concludes that these movements have little to offer the political economy. Bayat does not neglect the socioeconomic and political consequences of the expansion of urbanization, accompanied by the spread of neoliberal values, a process that began in Middle East states in the early 1990s. Urban neoliberalism, in Bayat's account, culminated in "inside-outing" and "disclosure," turning the city into a public sphere where the subalterns and the poor perceived it as an asset in which to live their lives. Focusing on the spatial characteristics of modern cities, Bayat draws our attention to the topography of the civil resistance in certain streets or squares such as Tahrir in Cairo and Taksim in Istanbul. Then he asks why some spaces are more rebellious than others. He offers a nuanced analysis of the new urbanism through the metaphor of square and countersquare, "where revolutionary times represent the most crucial political acts by ordinary people" (p. 133). Bayat remarks that the Arab Spring came as a complete surprise. 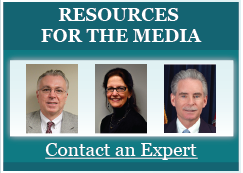 He puts an emphasis, however, on structural changes brought about by the public dissent. He illustrates how such resistance can unify multiple actors from the Muslim Brotherhood to leftist and non-Muslim groups in order to topple dictators. To reveal the failures of the movements to realize revolutionary objectives, Bayat points to the outcome of the Arab Spring in Tahrir Sqaure as a sign of national solidarity, coining the term "half revolution" to describe the failure (p. 152). Drawing on a protester's sign reading "Half Revolution, No Revolution," Bayat maps out the Arab Spring's path to meaningful change — defying authoritarian powers that have governed for generations. Reflecting on revolutionary mottos and dreams, Bayat scrutinizes how ordinary people formulate their concerns and express their demands through revolutionary acts. Despite the fact that the goals of the Arab Spring did not fully materialize, the movement generated Alain Badiou's notion of a "communism of movements" (p. 153). As Bayat maintains, all the activities in Tahrir Square — from fighting to eating and sharing — usher us into a new era of doing politics. Bayat contends that the transformation in consciousness characterizes the most enduring legacy of Arab Spring; this, in turn, manifested the goals of both conservative and liberal camps. In order to reveal the interplay between the objective and subjective faces of revolt, he makes a great effort to connect the poor conditions of daily life in the revolutionary period to the events during the uprising. While the Arab Spring seems to have failed to replace autocratic states, it has empowered the urban subaltern — the poor, women and youth — and emboldened them to try to tackle long-lasting political structures. These social groups have also learned how to manage their livelihoods at a time of economic crisis when the revolution had endangered millions of people. Hence, the specter of Mohamed Bouazizi, who ignited the Arab Spring in Tunisia, according to Bayat, became a symbol of bravery, consciousness and endurance, generating the Arab spirit of resistance and struggle. It also signified ordinary people's power and agency. As Bayat points out, the Arab Spring had results in specific realms — purging corrupt bosses in Tunisia, setting up a new union in Egypt and removing employers who violated traditional employment rights. Bayat devotes his last two chapters to the agony of transition and collective hope. He does not ascribe the unfortunate results of the revolution only to the internal paradoxes of the resistance. Instead, he focuses on the role that external powers played in undermining the public uprisings. Bayat is against assessing revolutions based on their ability to radically subvert the political system. Nor does he believe that revolutions are perfect phenomena; all of them bear the germ of the counterrevolution that impedes the goals of the revolution. There is always the danger of restoration or failure, as we witnessed in Egypt, where Mubarak escaped prosecution. What makes the Arab Spring exceptional is its emphasis on the revitalization of resistance against both internal oppression and the anticolonial struggle. Since hope occupies a significant place in Bayat's account, he dedicates his last chapter to articulating the Arab Spring's initial high hopes. He poses the question of why hope and passion were soon turned into despair. Furthermore, acclaiming the uprising's courage, commitment and sacrifices, Bayat identifies the lack of an intellectual foundation found in other revolutions, such as those in Cuba, Iran and Nicaragua (p. 219). However, he does not exaggerate the difficulties the Arab Spring faced; these are obstacles common to every revolution. He concludes by suggesting that we have to look for long-term results: "The journey from the oppressive 'old' to the liberatory 'new' will not come without relentless struggle" (p. 227).